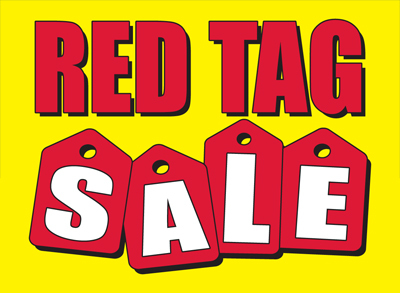 Our Red Tag Sale Car Flags feature a yellow background with the words "Red Tag" emblazoned in red text. Beneath this are several red tags and the word "Sale" printed in large white letters and outlined in red. 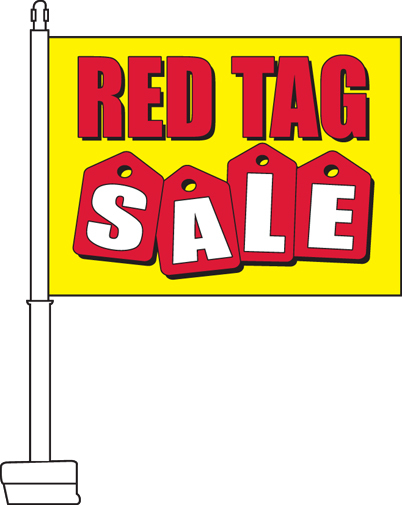 This flag is ideal for any car dealership, seeking to highlight the fact that they are having a red tag sale. It can be used to promote particular cars or an entire car lot of vehicles. 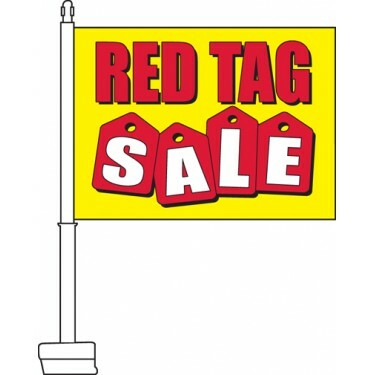 If you are a car dealership that wishes to promote a red tag sale then this is the perfect flag for you.